Serving as the “Ebola Czar,” chief of staff to VP’s Biden and Gore, and top debate prep advisor to a number of Democratic Presidential nominees are just a few of Ron Klain‘s many claims to fame in the political world. 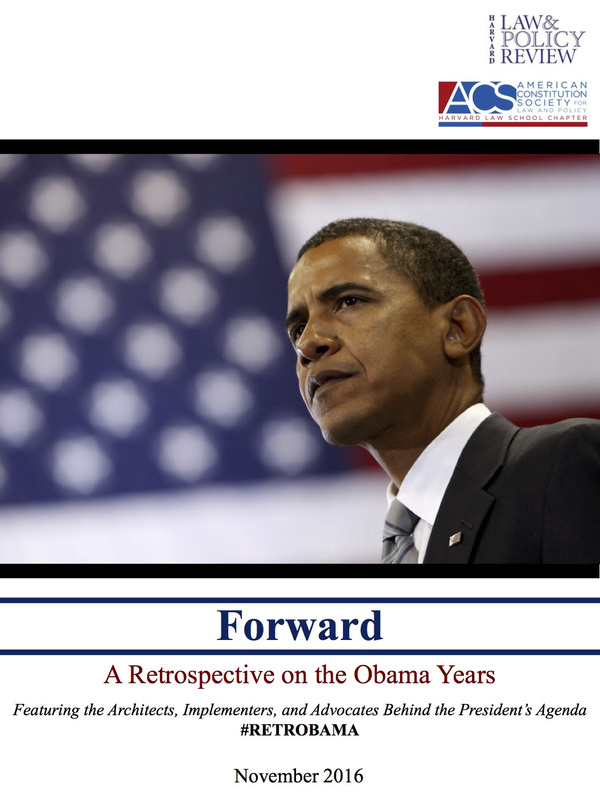 In Klain’s talk, he will discuss how President Obama made major domestic policy decisions, drawing on his experience overseeing implementation of the Recovery Act, serving as the Ebola Response Coordinator, and working in the VP’s office. Lunch will be served. Federal Election Commission Director Ann Ravel, in conversation with HLS Professor Charles Fried, will discuss campaign finance reform through the heated election season, her work on a split and deadlocked FEC, her previous work as Deputy Assistant Attorney General for Torts and Consumer Litigation, and challenges for the future. Lunch will be served. HLS’s Jody Freeman, former Counselor for Energy and Climate Change in the Obama White House, will discuss the President’s efforts to protect the environment and the challenges ahead. Professor Freeman served in the White House in 2009-10, where she was the architect of the president’s historic agreement with the auto industry to double fuel efficiency standards, launching the administration’s greenhouse gas program under the Clean Air Act. Lunch will be served. We’ve recruited the top experts, advocates, and administrators to share their thoughts on the President’s legacy on our blog in the coming weeks. … but check our blog daily for some surprise posts from top administration officials and others.